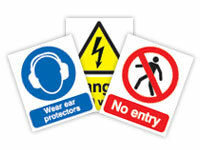 Should you need to change or add to your hazardous labels, you need GHS Signs. Available in nine different symbols, these labels cover: Health Hazard, Compressed Gas, Oxidising, Dangerous for the Environment, Toxic, Explosive, Corrosive, Flammable, and Harmful/Irritant. Each symbol is available in two different sizes: A4 and A5. Additionally, you can select from adhesive or magnetic signs. These signs are designed to comply with all regulations regarding proper labelling of materials or storage containers for hazardous materials. What is the Purpose of GHS Signs? These signs are designed to provide proper labelling for hazardous material storage containers or hazardous materials packages. These labels can be used together as needed. They can also be used to replace worn out or outdated hazardous material labels. This product can, and should, be used in any environment that has hazardous materials or hazardous material storage containers. These types of work environments can include: janitorial/custodial, landscaping, construction, exterminators, and many more. Places that use or store hazardous materials should have appropriate replacement labels to ensure that they are properly identifying the types of materials they possess. This product might be used by anyone who owns, operates, or works at a place that stores or has hazardous materials on site. This might include, but is not limited to: janitorial staff, construction teams, or exterminators. 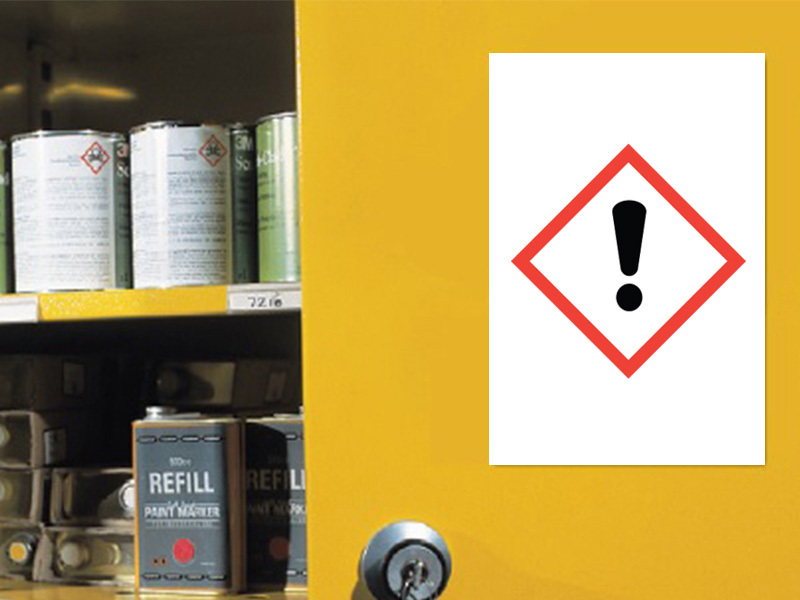 Hazardous materials must be properly labelled to comply with regulations. There are nine different types of GHS Signs, available in two different sheet sizes. The signs can be adhesive or magnetic. 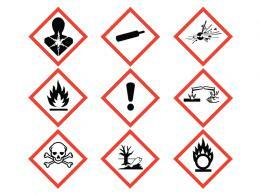 These signs comply with GHS regulations regarding hazardous materials and should be used to label such materials. All signs come with a standard 1-year parts/labour warranty. 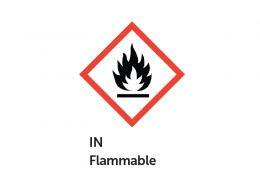 These signs comply with all regulations regarding storage of hazardous and/or flammable materials.